Extraordinary 5 bedroom, 4 bath in South Monroe County on 5 plus acres in private cul-de-sac of N. Rivoli Farms. Sound construction all the extras. Anderson doors and windows, huge master suite with custom closets/laundry area- large bath. Granite/custom cabinetry. Super spacious kitchen overlooking beautiful woods. Stone fireplace, windows, and veranda(an entertainers dream). Lower level has kitchenette, 2 bedrooms, bath, exercise room, den (ideal for mother-in-law or teen suite). 3 car garage. This house is so amazing and has more room than you can imagine! Contact Elizabeth Mixon, 478-361-2005 at Fickling and Company, 478-757-9600 to find out more and to see this lovely home. 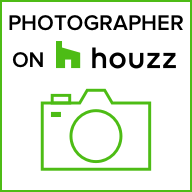 Book your own Real Estate Photoshoot TODAY!